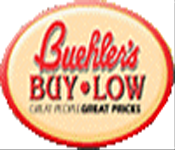 Buehler Foods was an American grocery store chain based out of Jasper, Indiana. It was founded in 1940 by Gabe and Marge Buehler. At its peak the company had 22 stores. On April 24, 2008 the company announced that it was selling all 22 of their stores to Houchens Industries.